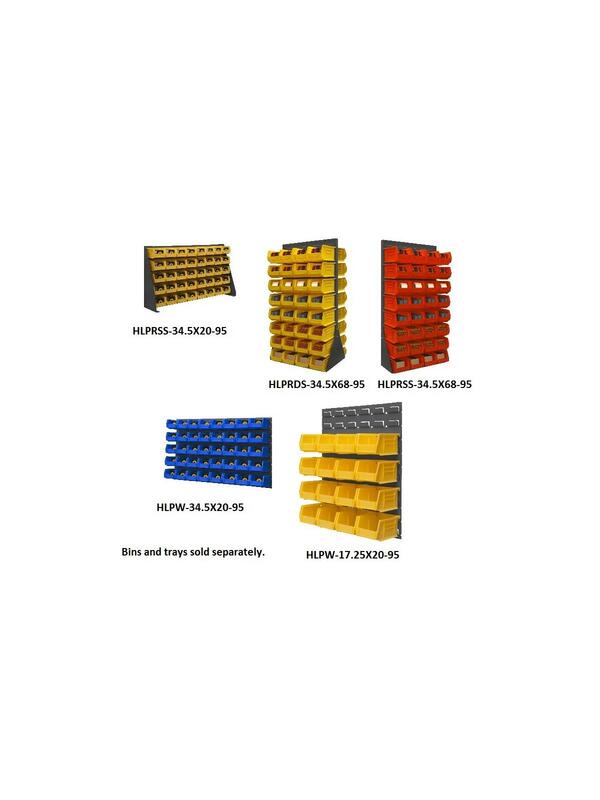 Louvered Panel Racks | David's Inc.
Louvers accommodate all sizes of Hook-On-Bins® (Bins are sold separately.) Tray shelves can be purchased as an accessory 1/4" holes for wall mounting - hardware not included. Durable, textured, powder coat finish. FOB Shipping Point. 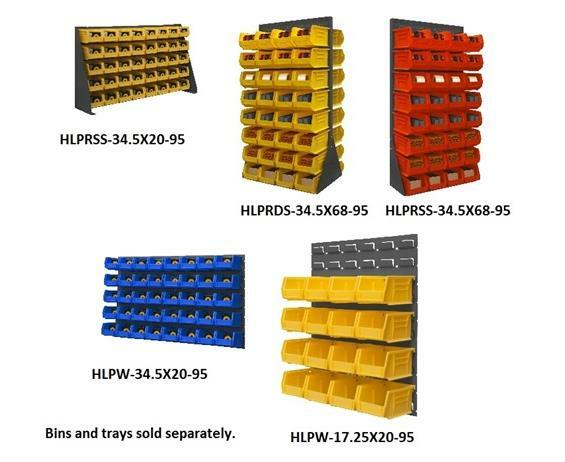 HLPRDS-34.5X68-95 - Double Sided Unit. See Related Items tab for Hook-On® Bins and Adjust-A-Tray Truck - Hook-On-Trays and Mobile Wire Spool Rack.